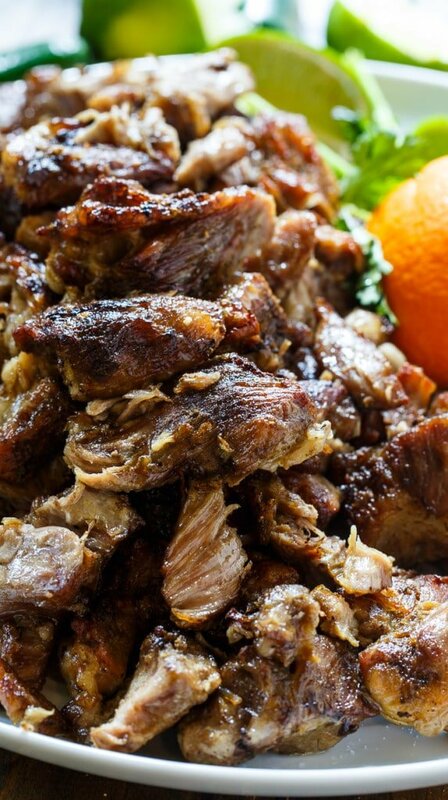 These Pork Carnitas are slow cooked in lard and bacon fat with garlic, onion, oranges, lemons and spices until super tender. They are then broiled until crispy. The resulting flavor is to die for. Seriously. And yes, the pork is cooked in a huge amount of fat. It literally swims in it. But it all gets discarded after the pork is cooked through and it leaves the pork wonderfully flavored and tender. If you can find fresh lard, which is very difficult to find, then use it. If not, the shelf-stable kind will work. It has stuff added to it and the flavor is not as good as fresh lard, but for something like carnitas that have so many other flavors going on, I think it’s totally suitable. You can find it by the cooking oils in some grocery stores or you can order it online. 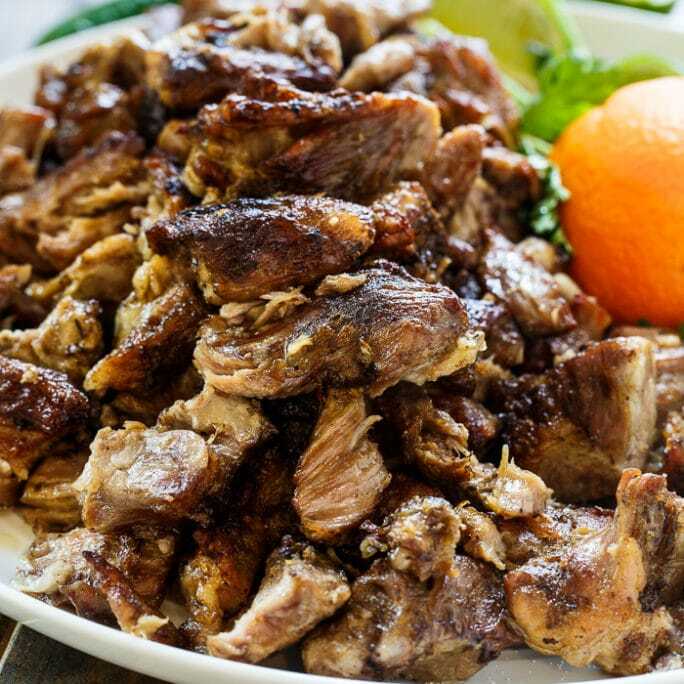 Pork Carnitas can be used as a base for all types of Mexican foods. I like to serve Pork Carnitas in flour tortillas with Fire-Roasted Salsa, fresh cilantro, and avocado. 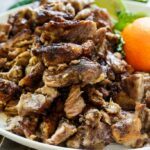 Pork Carnitas are so tender and juicy with wonderful crispy bits. 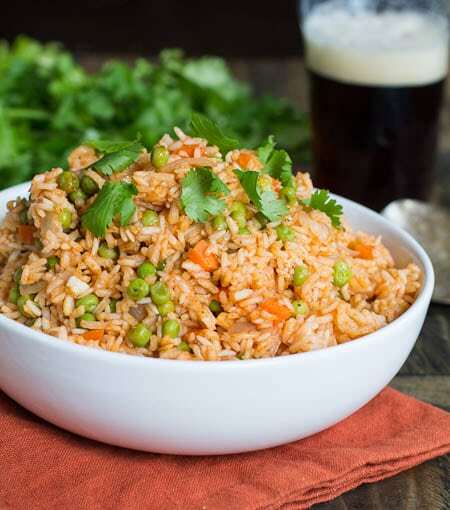 You need this for your dinner. And your family will be fighting over the leftovers. Place pork pieces in a 9X13-inch pan. Scatter onion, orange, lime, and garlic over pork. Use a large spoon to stir the pork around and get the seasonings distributed. Using a spoon, drop spoonfuls of lard evenly on top of pork. Use a slotted spoon to remove meat and place on a baking sheet covered with aluminum foil. Place under broiler for 5 minutes or until crispy. This entry was posted in Main Dishes, Pork and tagged Pork. Bookmark the permalink. I made this. It was delicious. But after I had “built” the dish with meat on bottom and the onion, etc arranged on top, THEN it said to stir to meat to assure even distribution of the spices. I’m wondering the same thing. Could it be 5 hours in the crock pot? Did you try it? Thank you for catching that Charles. I have fixed it. Is it possible to do this in the crock pot? I live in Arizona without air conditioning and think my house would be unbearable with the oven on for five hours and this looks way to good to wait until the weather changes. I ended up cooking it slightly longer because it was not ready to shred, and I used more spices (probably significantly more) than the recipe said. Wow. This. Looks. Amazing. So juicy and tender bad for you in all of the best ways. This is going on my dinner menu ASAP! I’m drooling! This looks out of this world, Christin! Oh my word. 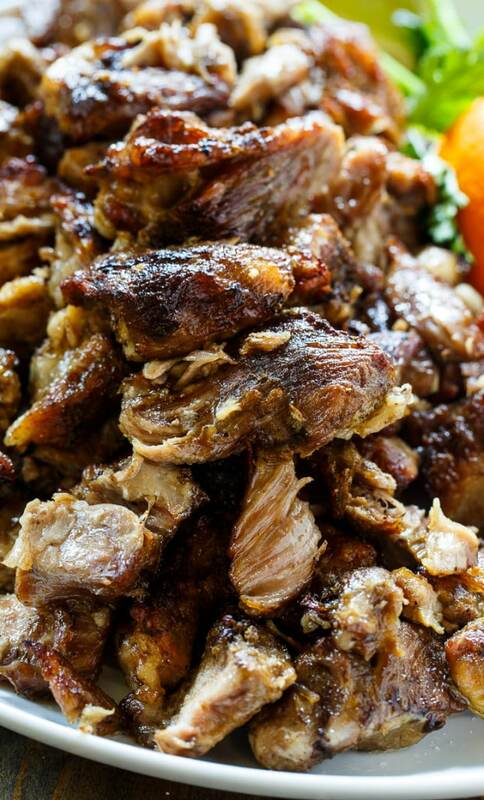 These carnitas look INCREDIBLE! So much flavor going on! My family actually butchers pigs and makes lard, but I never take any because I never really use it for anything. THIS would be a great use for it! Mmm you just can’t beat pork made in the slow cooker! This looks fantastic, Christin! 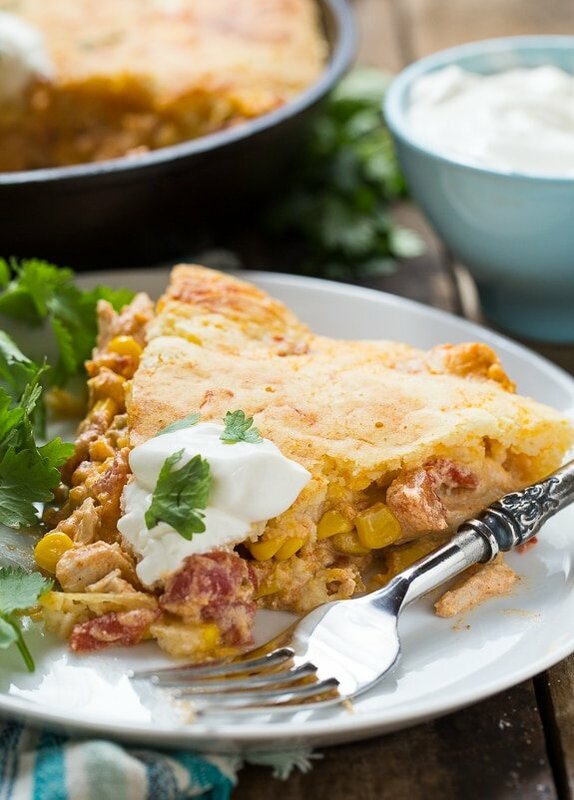 Such a delicious way to cook this dish! 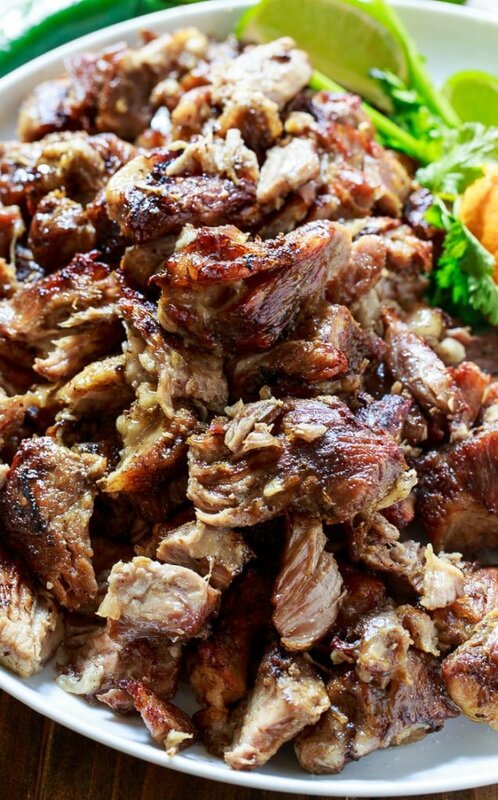 These carnitas are making me so hungry! I can just imagine the wonderful flavor the lard gives it. Sounds crazy good!